Third-party developers can now build apps and websites that can display Live Photos. 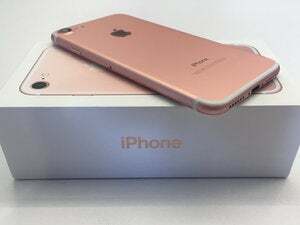 When Apple released the iPhone 6s in 2015, the company also introduced Live Photos, a picture that, when you tap it on your iPhone, becomes a 1.5 second video clip. It’s a fun feature, but it has limitations. It’s not easy to post a Live Photo on the web, for example. Nearly two years after Live Photos made its debut, Apple has finally revealed the Live Photo API. The API makes it easier for developers to post Live Pictures to the web or to add Live Pictures support in an app. What this means to you: Some social networks, like Tumblr and Facebook, figured out how to support Live Photos on their websites, but many other sites (especially photo-sharing sites) have not figured it out. This is a frustration of Live Photos enthusiasts who feel like the full impact of their photos are not being felt by viewers, or that the intent of their phots aren’t being preserved online. The Live Photos API is a boon for developers; they now support a form of content that’s popular with iPhone users. And it’s a boon for users, who get to see their Live Photos presented as intended.